With the passing of the scorching summer comes the monsoon, with its pitter patter and cool breeze. But like everything, it has its good and bad. The bad that I am talking about here is the dampness of the walls and the probability of leakages in homes that comes along with the monsoon! Since we Indians are in a hurry of getting everything ready, we often overlook the quality of the things we get. As a result, we end up with things way less than perfect! A wall in my house went damp with the onset of monsoons this year and has started harbouring fungus and what not! I can’t even touch the wall, because it is wet! And since there is not much of direct sunlight that falls onto that wall, it remains wet and damp! And I am left wondering what could I have done or the builder could have done to have avoided such a situation! Then I got the very obvious answer, Waterproofing! If only the house was waterproofed and protected from dampness the whole atmosphere of the house would have stayed vibrant! I understood that planning of every detail while building a house is extremely important and we also have to consider the effect all the seasons have on the house as well! 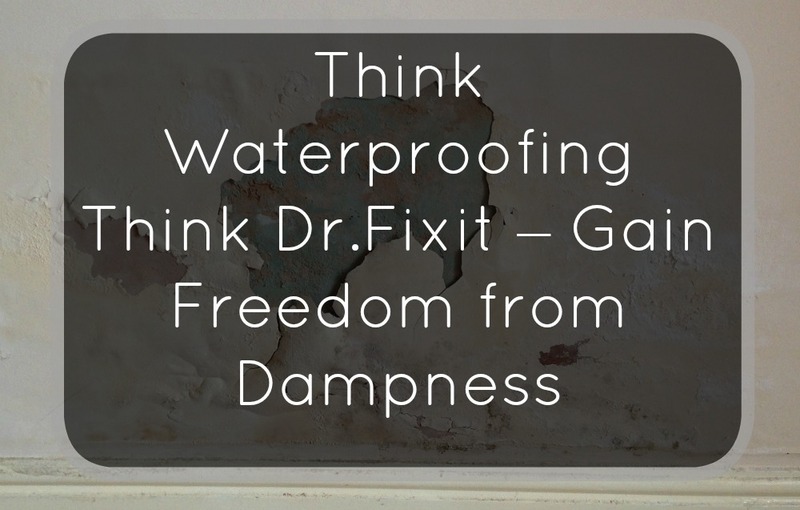 The dampness can be battled with the help of waterproofing and no other name comes to my mind apart from Dr.Fixit for waterproofing solutions. A water seeped wall covered with fungus is something no one wants in their homes. And Dr.Fixit can help you with number of waterproofing solutions! Solutions for waterproofing ceilings, walls and the other parts of the house. And the thing with dampness is that it sticks to you like glue! Well, the problems stick to you while the dampness and fungus stick to the house through every season. Haha. So while you are thinking that you will save a little bit of money by not waterproofing your house, you are overlooking the fact that you might have to face a number of problems in the long run. Because, once your house gets affected by the rains of one monsoon, it is going to get affected in the next monsoon and the problems will keep aggravating! The simple solution of looking to Dr.Fixit for help is the only intelligent way out, if you want to save yourself the hassles in future. And if you are a person who believes in Vaastu, then you, my friend, better get the waterproofing done, when there is time! Because dripping water is not good when it comes to Vaastu! Leakage isn’t a cosmetic problem and it can only be solved by the experts of the trade! So, avoid the lifelong problem by getting a solution from a trusted brand. The main problem areas, I think, are the walls of the bathrooms and the terrace floor! Avoid all problems by just waterproofing your house with Dr.Fixit. And this is something which is better when done while constructing your house! So plan early and save yourself the pain and the discomfort of staying in a house with seepage from everywhere! And since Dr.Fixit has been around for so many years, you can be confident, that your house will be waterproof for years! Dr Fixit not only has the best products for every surface area, but also provides guidance from professional consultants on right application methods and detailing. When you work with the best, you get the best! So choose the best and give your house the opportunity to enjoy the monsoon! To keep your house happy and healthy do check out some interesting tips at The Happy Homes Blog.